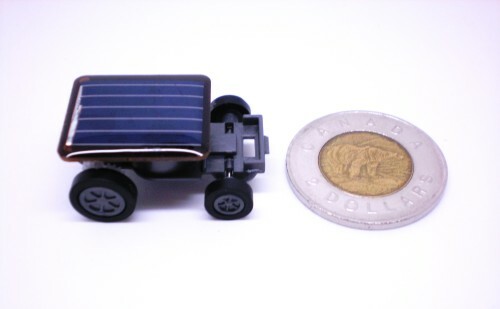 Measuring only 3cm and weighing only 4.15 grams, this is the smallest solar car in the world. This is a great educational toy to show kids the wonders of solar energy. This little car is fun and ecological, simply place it under direct sunlight and watch it speed away without using any batteries!